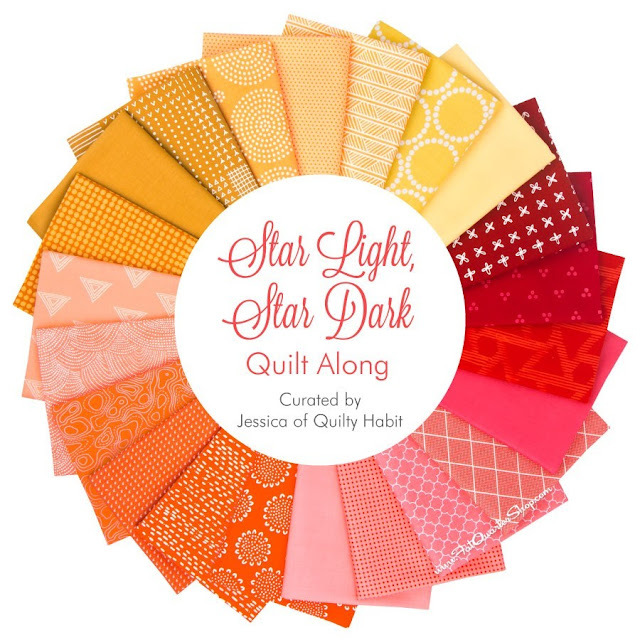 Quilty Habit: Giveaway: QAL Bundle from Fat Quarter Shop! 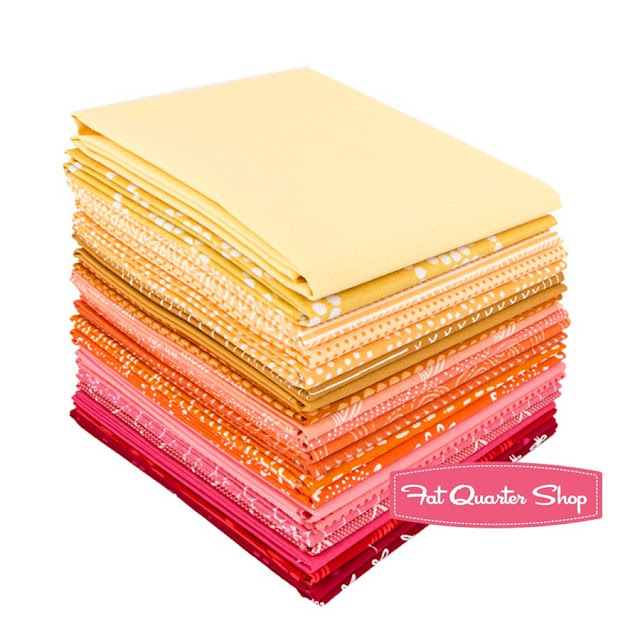 Giveaway: QAL Bundle from Fat Quarter Shop! Hi all! 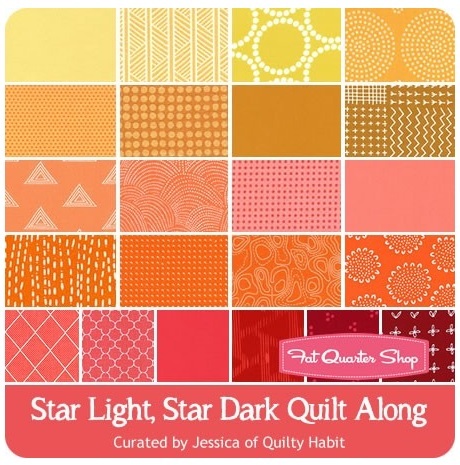 I mentioned in yesterday's introduction post for the Star Light, Star Dark QAL that I curated a special bundle with the help of my sponsor, Fat Quarter Shop. I chose this colorway for a unique, summery quilt in three colors (light and dark red, orange, and yellow), but this bundle of monochromatic fabrics could be used for ANY project! There just aren't enough "warm" and "cool" bundles out there, amiright? Fat Quarter Shop gave me a bundle to work with on my next SLSD quilt (thank you, FQS! ), and I'll be sharing how I paired it with my fabric stash next week during the lesson on contrast! So, you could make a similar quilt, if this combination speaks to you! Doesn't it just make you think of this? For the Quilt-A-Long, Fat Quarter Shop is generously offering one of my readers a fat quarter bundle containing 22 fat quarters - worth $60 in value! You can also purchase the Star Light, Star Dark official bundle right here! If you'd like to win a bundle (for the QAL* or for other reasons, I won't tell...), read on! 1. Required: Receive Fat Quarter Shop's newsletter (sign up here). Just leave a comment and let me know you get it. 2. Required: Follow Quilty Habit through Bloglovin, email, Facebook, Instagram, The Wonky Press, what have you (just tell me one way you follow!). 3. Optional: What are your favorite 2-color or 3-color combinations? I'm putting together a little color inspiration for next week's QAL post on fabric selection, and I'd love to hear your favorites. I happen to love navy, purple, and magenta right now. Feel free to get creative! Details: The giveaway will run from 8 am EST Tuesday 6/21 until 8 am Monday 6/27. The winner will be emailed and announced on the blog. The winner will be chosen randomly using the Random Number Generator. This giveaway is open to everyone in the world! You can really see all those layers of contrast here! I'm so excited to use these colors... can you tell? So out of my normal go-to cool colors but still so wonderfully bright and modern. *Please note that these fat quarters are meant to supplement a SLSD quilt; they will not be quite enough fabric. I will be sharing fabric requirements next Monday, so check back for that! I'll also be sharing links to other fabrics that you could buy to go with this bundle, as well as other color schemes to consider! Pincushion Sew Along with Fat Quarter Shop!